We open Shortlake Farm for tent camping for a total of just 4 weeks in the year during August. 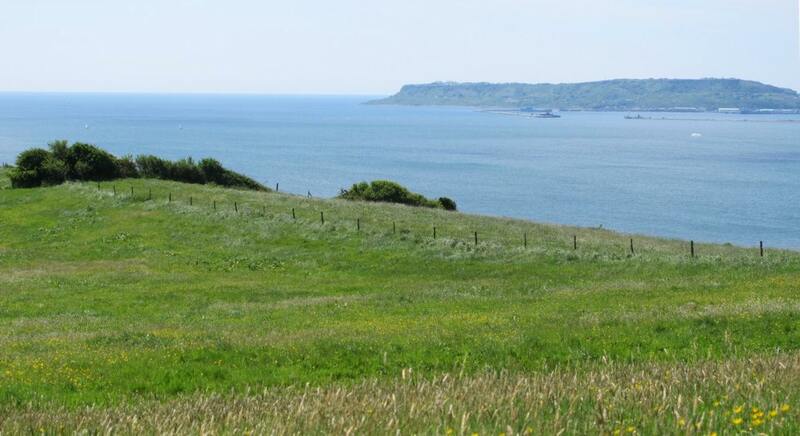 The campsite is located next to the coast in a beautiful area of countryside, accessed from a no-through lane in Osmington Village. The site covers several fields with sea views over Weymouth and Portland. It is quiet, secluded and safe for children, with a 10 minute walk to the beach via steps just west of the site, and a 15 minute walk to Eweleaze Farm. This campsite site is run along very similar lines to the popular Eweleaze Farm. Like at Eweleaze, guests are able to choose their own pitch, so friends and families can camp in groups as they please and parking by your tent is allowed on most of the fields. There is loads of room for kids to run around, fly kites, play ball games and the like. Campfires are allowed, adding to the atmosphere, and firewood is available from the farm shop. We are again serving organic pizzas from our wood fired pizza van. The South West Coast path runs along the edge of the fields above the beach, with walks to Osmington Mills, Ringstead, Durdle Door and Lulworth to the east and Weymouth and the Isle of Portland to the west. The nearest shops are the Spar and Co-op located in Preston 2.5km down the road towards Weymouth. Page generated in 0.06392 seconds.